Suit of ArmorThe LCD cover with special in-mold decoration design not only gives the notebook an instant game machine identity that simply stands out from the generic notebook design but it also makes the surface more resistant from paint chipping off. 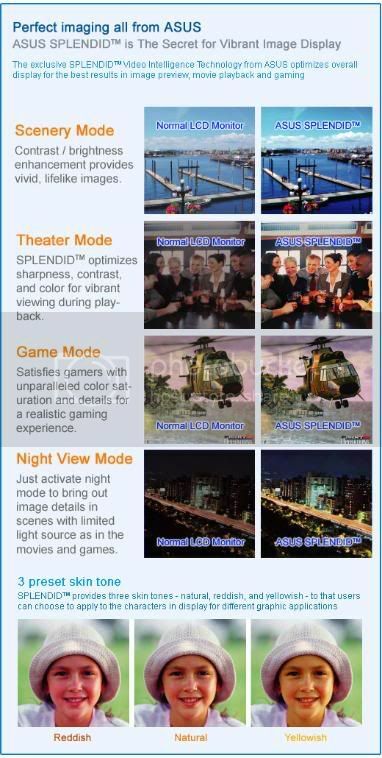 Graphic Intensity Indicator With Direct Flash sidelights, gaming spirit is shared when DirectX 10 support is activated for graphic intense moments. Get a boost and bring the game on anywhere! Wireless Video Communication Built-in high-resolution webcam and speaker allow wire-free video conferencing anywhere without the hassle of tangling wires. Gamers can now see and talk to teammates or opponents around the world, making gaming more real than ever before! Interruption-Free Live Information Update The ASUS Direct Messenger information side display updates instant messages, system status and reminder alerts with zero distraction to accommodate full screen game mode. This OLED window can also be customized to show personal messages and even caller IDs when Power4 Phone function is activated. 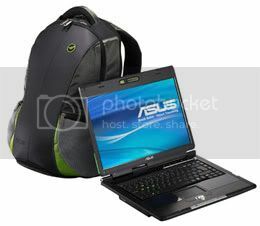 Asus G1s Notebook Series Gaming Hotkey Highlights The full-sized keyboard makes mobile gaming ergonomically comfortable while the W, A, S and D keys are especially marked with color squares to match the rest of the notebook color scheme for convenient access at one glance. Vibrant Visual Enjoyment To satisfy the most demanding viewing standards, ASUS Splendid Video Intelligence Technology integrates different multimedia data sources to reduce noise and conversion rate for a vivid display. Users can enjoy vivid images with better contrast, brightness, skin tone and color saturation for all video applications. The Game and Night View Modes are great for extra gaming effects that not only sharpen the image details but also enhance the outlines ideal for underlying stealth actions. Extensive Connectivity Bluetooth 2.0 enhanced data rate transmits three times faster than the standard Bluetooth for increased connectivity and synchronization between digital devices. In addition, a complete range of input/ output ports offers dynamic data transfers and storage including, USB ports, TV-out port, card reader and express card slots. 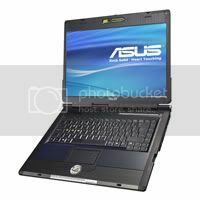 Asus G1s Notebook Series, High-speed Internet Access Enjoy high-speed wireless Internet for data access and transfers with integrated WLAN 802.11 a/b/g/n. In addition, ASUS exclusive Net4 Switch Utility detects available network in the surrounding environment and allows users to select and make a switch anywhere, ensuring smooth connection transitions on the go. have it! love it! only 2 cons..not as light as I'd like it (subjective) and the battery life isn't that great (objective).